Doctors or nurses use the irrigation to wash and clean body cavities, tissues or wounds. It is used for medication dilution prior to use (e.g. 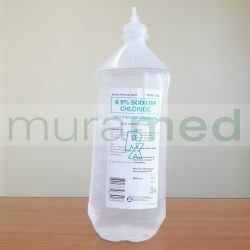 certain inhalation solution before nebulization). For external use only and should not be injected or swallowed.